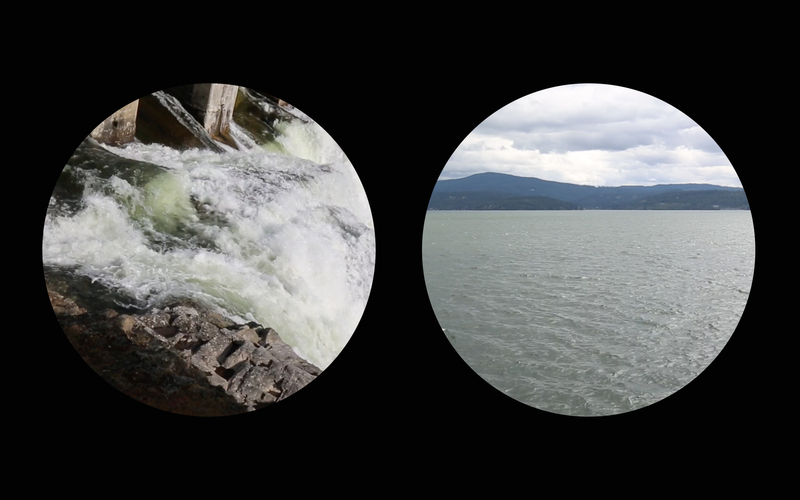 Like explorers in the past, looking through their binoculars to discover new land, we composed our video “I See Water” to mimic the look of the two binocular peepholes. What does it mean to be a traveling artist and what is a traveling artist looking for? Generations of artist before us that have traveled and studied their environment by painting it, drawing it and photograph it, to understand the where in the world we are, describing what they see and feel. A complicated task where the artist sometimes takes the role of an outsider or even worse; a colonial explorer calming what he see as his discovery. When Rydh/Sörenson travels, we dwell in the landscape we are in; we talk about what we see, then, we look again. How can we really understand where we are? What are the specifics of this site, if we as artists work site specific? The right part of the video is filmed in Washington State and the left part in Idaho during our travels in the USA. 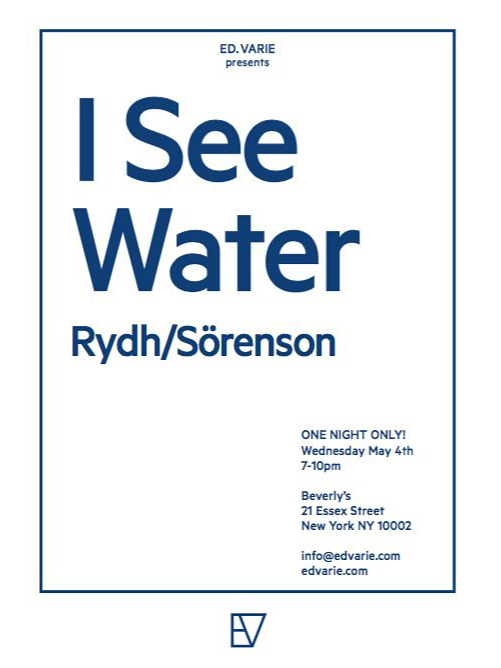 ”I See Water” was first showed at Beverly’s New York, curated by Ed Varie, as a one night only event during NADA artfair.